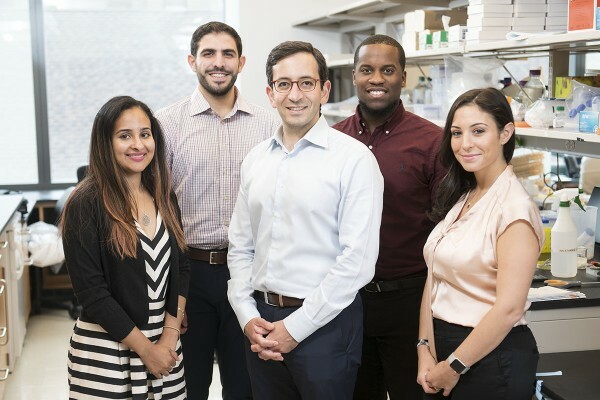 The Bakhoum lab focuses on understanding the role of chromosomal instability (CIN) in tumor evolution. CIN is a hallmark of human cancer and it is associated with poor prognosis, metastasis, and therapeutic resistance. It results from errors in chromosome segregation during mitosis, leading to structural and numerical chromosomal abnormalities. In addition to generating genomic heterogeneity that acts as a substrate for natural selection, CIN promotes inflammatory signaling by introducing genomic double-stranded DNA into the cytosol, engaging cytosolic DNA-sensing antiviral innate immune pathways. These multipronged effects distinguish CIN as a central driver of tumor evolution and as a genomic source for the crosstalk between the tumor and its microenvironment. 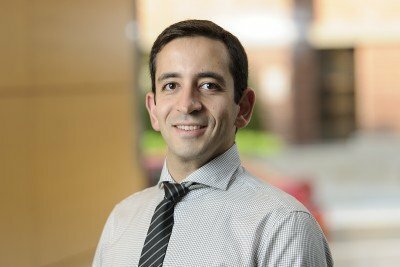 Physician-scientist Samuel Bakhoum studies the role of chromosomal instability in tumor evolution and metastasis. Bakhoum SF, Ngo B, Laughney AM, Cavallo JA, Murphy CJ, Ly P, Shah P, Sriram RK, Watkins TBK, Taunk NK, Duran M, Pauli C, Shaw C, Chadalavada K, Rajasekhar VK, Genovese G, Venkatesan S, BirkBak NJ, McGranahan N, Lundquist M, Laplant Q, Healy JH, Elemento O, Chung CH, Lee NY, Imielenski M, Nanjangud G, Pe’er D, Cleveland D, Powell SN, Lammerding J, Swanton C, Cantley LC (2018) Chromosomal Instability drives metastasis through a cytosolic DNA response. Nature: 553, 467-472.